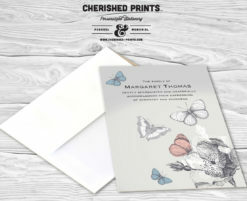 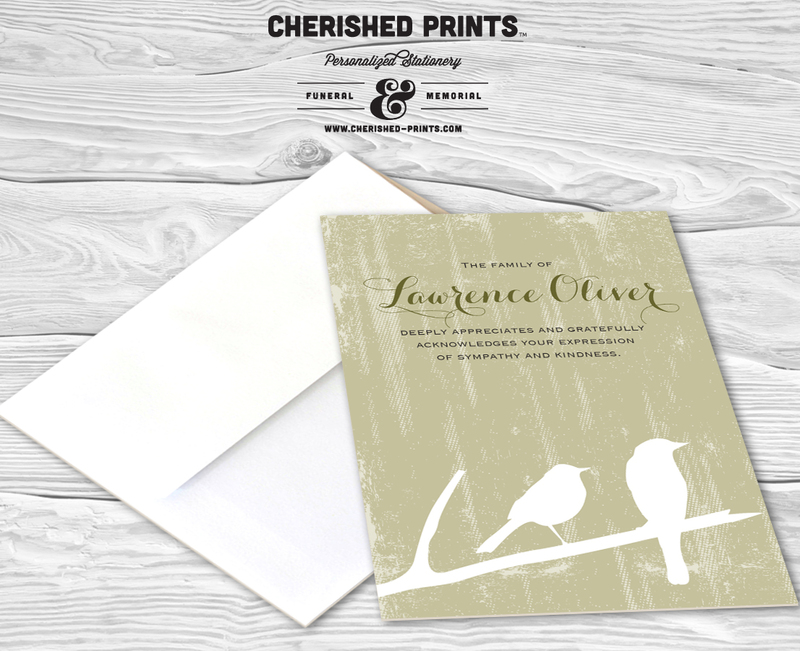 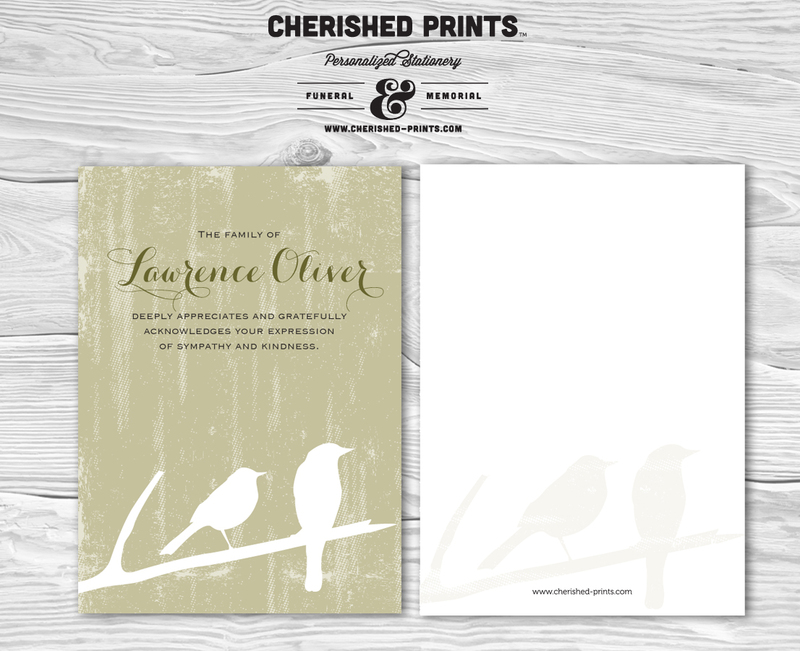 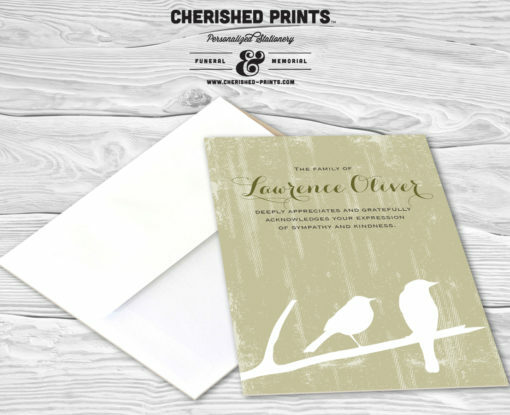 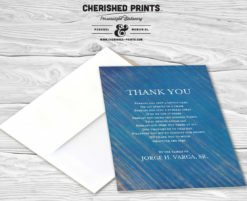 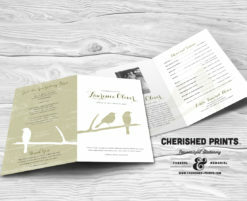 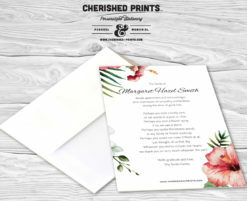 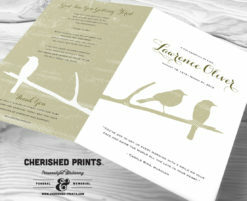 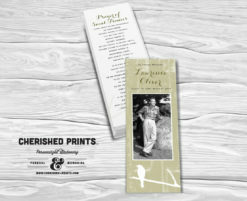 Cherished Print’s BranchThank You Cards for Funeral and Memorials are designed to ease your burden through this difficult time, we have our acknowledgment cards in a coordinating design. 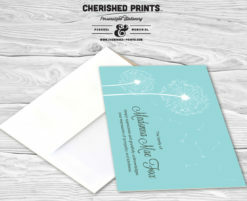 The cards are personalized with your message. 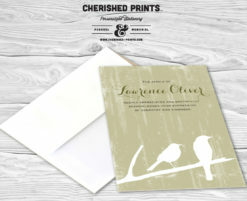 The only thing the sender has to do is sign and send. 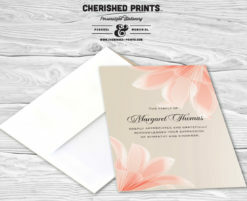 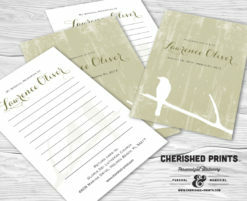 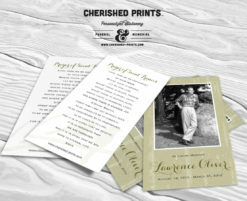 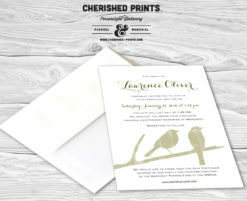 If you are purchasing printed cards, blank white envelopes are included. 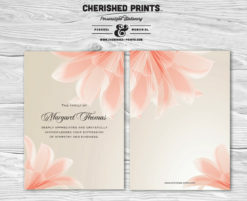 The cards can be customized with your choice of colors.